A chill weekend at the beach suddenly turned into an all out rager - always be prepared! I booked a weekend beach getaway a few weeks back. I had planned on disconnecting from work, so I left my laptop at home and only took along a pair of headphones (for casual listening and podcasts) plus my iPad Pro (mainly for reading and playing Hearthstone). I hadn’t been to that beach in almost five years, and the last time I was there I had played a festival and had good memories about my stay, so I decided to spend the last weekend of summer there. The weather was great and our accommodations were right in front of the beach. Bliss is at hand! All done, I arrived with my iPad Pro running djay Pro and proceeded to slay a 90-minute DJ set that turned the dancefloor upside down (see the GIF above). This wasn’t some quiet chill out background music minimal set: it was as high energy and frenetic as any festival performance I’ve done, and then some! It was hot, sweaty, and chaotic on the dancefloor and inside the DJ box – just the way I like it. 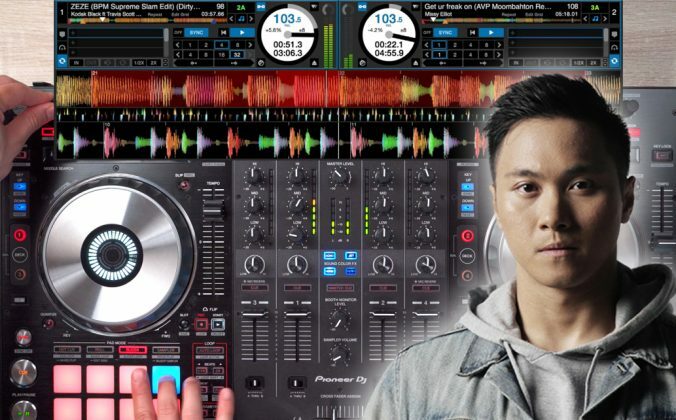 Despite advances in DJing using smartphones and tablets, it hasn’t really taken off yet because there are a few hurdles that digital DJs used to spinning with laptops and CDJs have to jump. Here’s how you can do just that so you can get started spinning using an iPad, which gives you a lot more flexibility (and convenience) than you think. 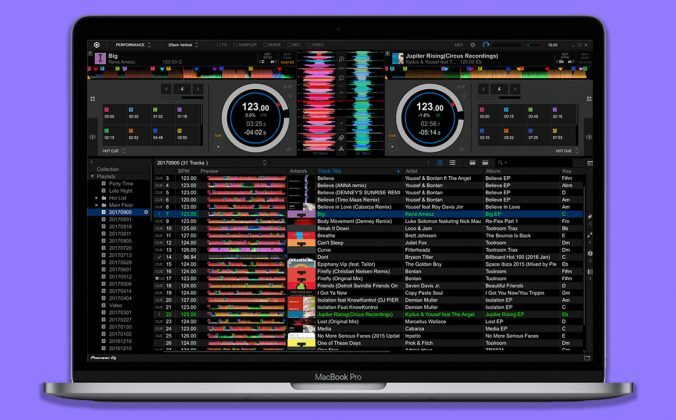 This is the most important step: the reason for this is because if you do your library management within a piece of specific laptop DJ software (eg Traktor, Serato DJ, Virtual DJ, Rekordbox) your playlists are essentially tied to that app. Flexibility is key here, and if you want to spin with an iPhone or iPad, iTunes is undoubtedly the easiest way to transfer music from your laptop to your iOS device. If you’ve got enough space on (my iPad has 256GB of storage) you can even make a complete, updated copy of your entire DJ library within iTunes on your iOS device, which you can simply sync when you add or remove tracks. It’s a no-brainer: you can even use third party apps like beaTunes (pictured above) to make repairs and sweeping changes to songs quickly. Even if you prefer to carry a USB thumb drive with you stocked with your latest playlists and mixes, iTunes is still your best bet: it shows up in just about every piece of DJ software out there (Mac, PC or iOS) so if you want to export tracks to your thumb drive using Rekordbox, you can do that easily. The only downside to using iTunes is that you’ve got to wrap your head around using it as your main DJ library organising app, as opposed to your DJ software of choice. Plus, DJ software-specific data like hot cues and waveform previews don’t get saved, so should you decide to migrate to another DJ app, you’ll have to rebuild those cues – a bummer, but a price I’m willing to pay for the flexibility of seeing my playlists in any DJ app I encounter. Basically, I wouldn’t have been able to perform if I hadn’t made the shift to organising my music within iTunes. 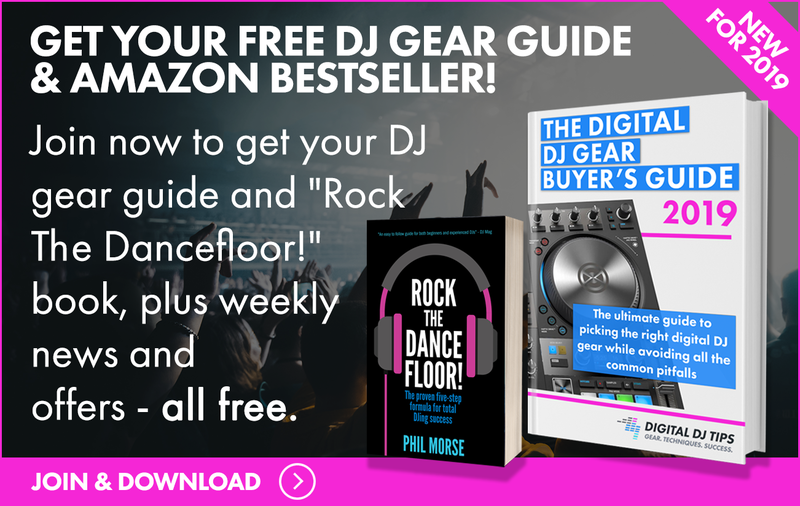 In fact, you could even play an entire set just playing tracks one after another in iTunes, but that’s more like being a jukebox – the real fun in DJing is in the art of selecting, spinning, and tweaking the tracks you’re playing. There are lots of powerful, easy-to-use apps out there for iOS. 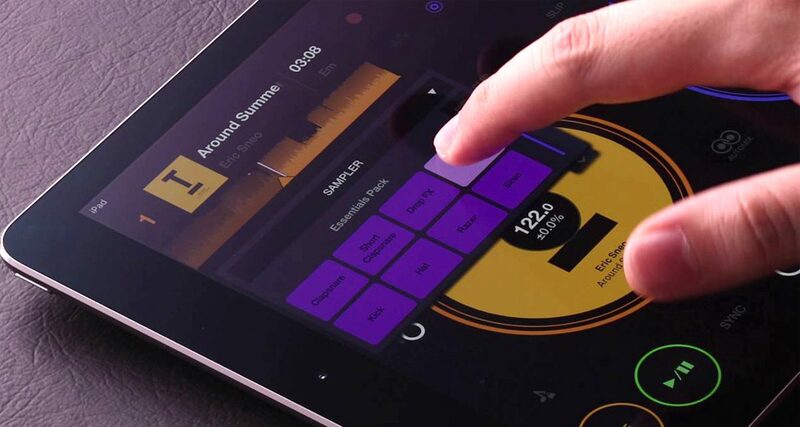 iPad DJ apps have grown ridiculously powerful, sometimes even rivalling their laptop counterparts: djay Pro gives you Spotify access, video DJing, four-deck mixing plus a plethora of onboard effects, DJ Player Pro lets you use it with DVS and can be Midi mapped, and even simpler apps like WeDJ from Pioneer DJ can do so much more than a pair of CDJs from just a few years back. Choose one DJ app that you’d like to use (check out our roundups of the best iOS DJ software) and stick with it. It’s tempting to jump from one app to another because they’re so cheap, but what’s important here is you learn how to use the app inside and out. 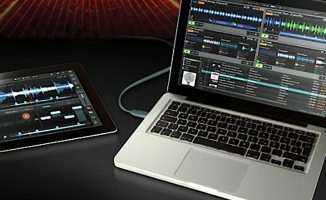 djay Pro, for instance, comes with keyboard shortcuts that you can trigger using the iPad Pro’s keyboard accessory, making it easier to spin and search for tracks as well. These three things plus an iPad are all you need for a gig. 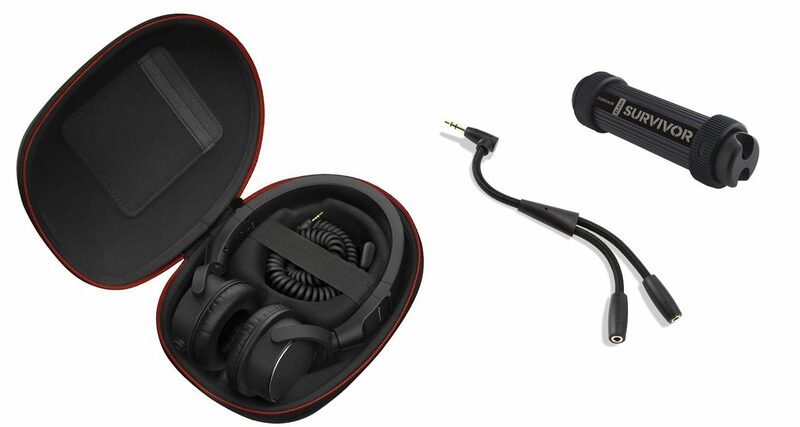 Apart from clothes and other travel essentials, stash a DJ pack that includes headphones, a DJ splitter cable, and a thumb drive that contains your latest mixes and maybe a playlist or two (just in case you encounter CDJs / XDJs and want to use them). Paired with your iPad, your DJ Weekender Kit will have everything you need to spin a set wherever your travels take you. The best thing about this is that there’s no need for a laptop: that’s the beauty of using iTunes as your library manager, just make sure that you’ve synced your iOS device to your laptop before leaving so your playlists and tracks are updated. 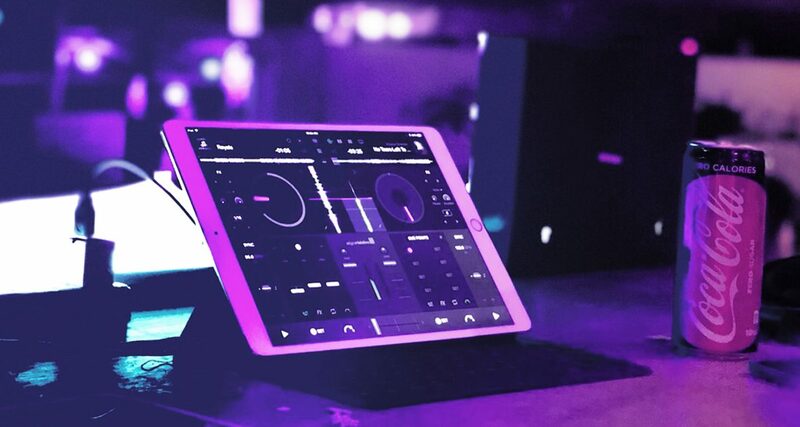 Jumping from using a DJ controller or CDJs to a touchscreen device like an iPad can seem frustrating at first because you’re hampered by two things: screen real estate and tactile controls. 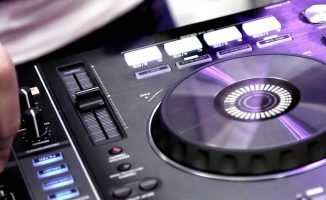 The frustration, however, stems from the fact that you will need to adopt a different workflow if you’re going to be spinning on a touchscreen device – for example, there’s practically no way for you to modify controls unless you’re looking at the screen, which is radically different compared to using a CDJ’s jogwheel or a mixer’s knobs and buttons. That’s fine though – you will get used to it, especially if you’ve been practising with your chosen app. 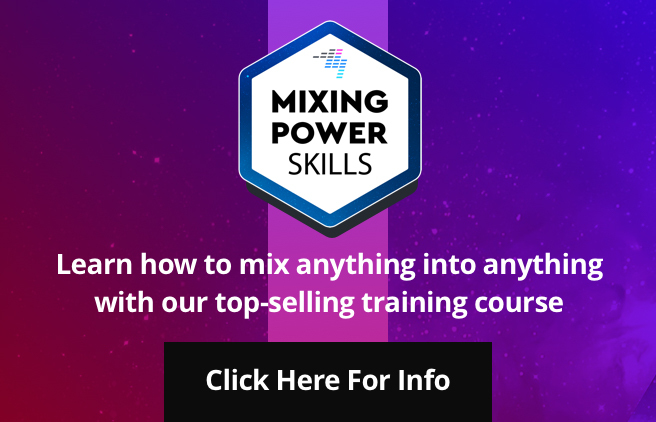 Since you’re DJing on a new interface compared to what you’re used to (or what I call a “secondary workflow”) it’s inevitable that you’ll make mistakes. I accidentally triggered a hot cue I had placed in a track while I was searching for a tune in djay Pro’s browser using my iPad keyboard, for example. That’s fine: brush it off and move on. Just don’t make the same mistake twice! One of the major reasons I was able to spin with an iPad is because I practise DJing with it. 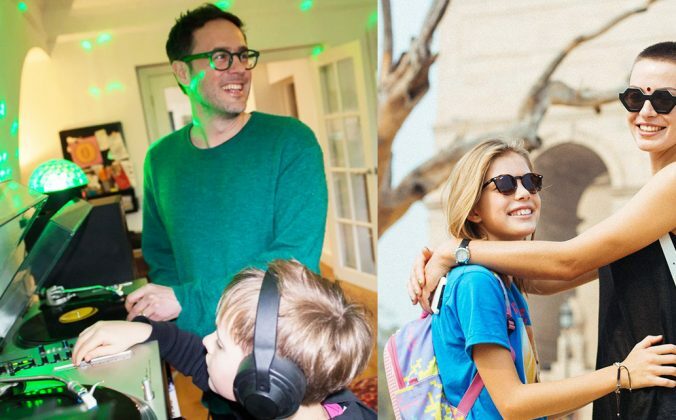 I love spinning, especially when I’m travelling – having my laptop DJ library synced and updated to my smartphone or tablet means I can do that just about anywhere, anytime. 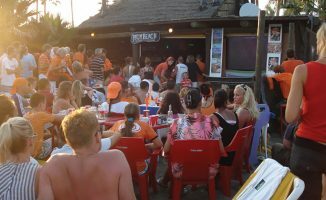 Hitting the beach, being recognised by folk there, and hitting the “decks” that same night and killing that dancefloor was one of the most memorable moments of my DJing career. I’m proud of the fact that I took a risk and gambled at an opportunity where the essentials for a DJ performance weren’t provided, and I made it work. When you come from gigs like that, you build a strong belief in yourself and a confidence that you can handle just about any type of performance situation. I’m reminded of a story our founder Phil shared with me. He was staying at a hotel in Cuba that had a busy bar one evening, but no music. He approached the bartender and she pointed to a tape deck with a huge stack of cassettes (this was in the late 90s). It wasn’t ideal, but Phil ended up DJing that night playing tapes on the spot. How’s that for a DJ gig memory? I believe that’s how a true professional DJ operates: throw him or her in front of a crowd anywhere, anytime and he or she’ll rock the crowd, equipment be damned. Remember folks: it’s not about the gear, it’s all about the music. Now go out there and get spinning! • Thanks to Reggie, Val, Kiddo, DJ Miko of Clean Beach and the folk at El Union and Flotsam & Jetsam in La Union for having me. 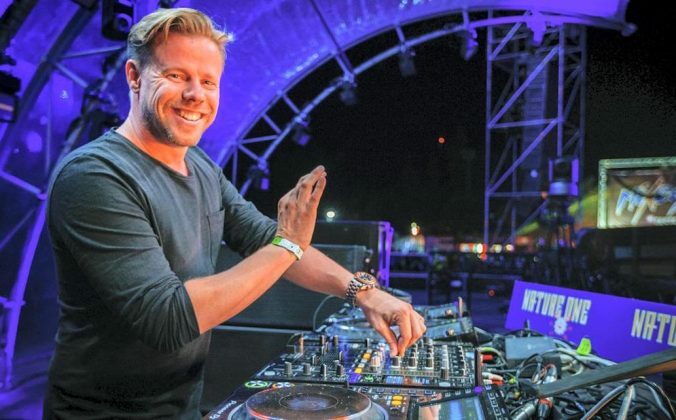 Have you tried DJing with a smartphone or tablet? How did that go? Any success stories or failures you’d like to share? Do so below. Hey man! Yes DJ Vintage and I talked about your app last time I was in Utrecht 🙂 Been meaning to do a quick review of it. If you decide on including djay Pro 2 in the conversion let me know! Pretty awesome story Joey! I use an iPad as my gig backup too and sync all my library but probably should practice djaying with it more than not. I also have the Pioneer Wego3 for better control. Will take all the advise you learned from here and apply it. Way to rock that party!! Sweet story Joey. I run DJ Pro on my Ipad 12.9 on channel one of my DDJ-SX as a back up…just in case. Has all the same music as my Serato library. Since I too bring my IPad everywhere, it’s nice to have a backup. Definitely takes some getting used to as a stand alone unit, I’ll agree. I’m glad the 90 minute success was a hit! Hi Joey, great story (and great future memories too!). 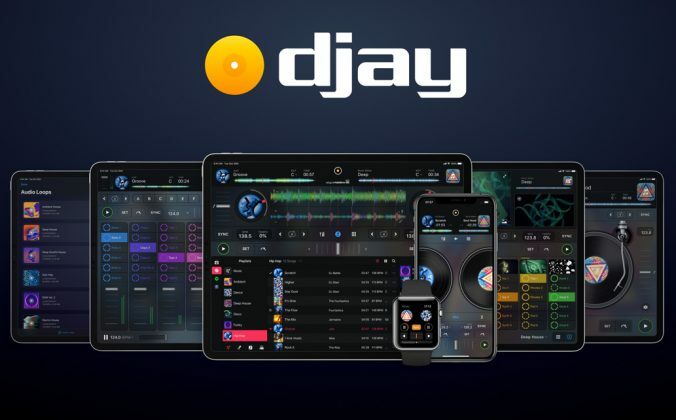 Being a staff writer on this website, you obviously have access to all of the software out there, and I wonder if you could detail what gives Djay Pro the edge over all the other options, in your opinion. 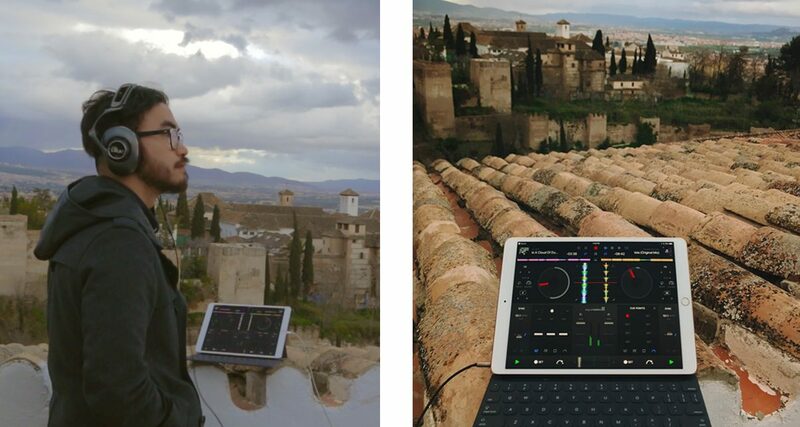 I only ever djay with my iPad using Algoriddim’s DJAY2 and it allows me to play in places where there is no electrical power like on the beach or in the desert. I plug into a SoundBoks speaker which is self-powered and can rock it for hours! It’s amazing to have this much music and this much control over it all with just a tablet, eh? All this newfangled technology is finally getting us somewhere! Yay!